We invited Joe Kutchera to present digital and multicultural marketing case studies to our students at Southern Illinois University for a presentation entitled “Total Market Influence: How to Listen to, Engage and Develop Content for Multicultural Audiences on Social Media.” Joe did an excellent job presenting case studies from 3M, Flipboard, Allstate and Dollar Shave Club. Joe was very engaging and worked well with the students. We expected around 30 students to attend and over 60 signed up. We thank Joe Kutchera for taking the time to speak to our FSU Hispanic Marketing communication students. We learned from his case studies and discussion about how to optimize social media campaigns. He shared examples about the importance of creating culturally customized content. The students and I enjoyed his skilled presentation! Gracias, Joe! Joe Kutchera was introduced to our Self Starters group as a consultant, writer, and author of two books who could present on the topic of ‘personal brand building.’ Self Starters is a group of independent contractors who gather once a month to share experiences and to learn from each other. Joe is a new member and his topic was much anticipated. He did not disappoint! His presentation included excellent examples from social media. He walked us through definitions and suggestions but he did not overload us and left plenty of time for discussion. The group was quick to participate and the feedback afterward was filled with high praise. It was a very effective demonstration of his consultation style and knowledge. 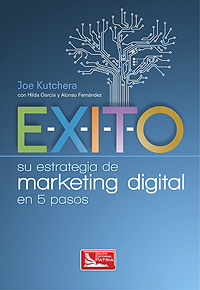 Joe presented the 5-step digital marketing process and case studies from his book, E-X-I-T-O, at L’Oreal’s Digital University in May of 2015 to all of our brand managers and marketing teams. We all enjoyed it and learned a tremendous amount. Thank you Joe for sharing your insights and case studies about digital/mobile marketing. Joe’s presentation on mobile and digital marketing to the Hispanic consumer was one of the highlights of this year’s Hispanic Retail 360 Summit. His command of the subject matter, and easy-going, down-to-earth delivery, made his talk a pleasure to watch. Audience feedback was extremely positive. 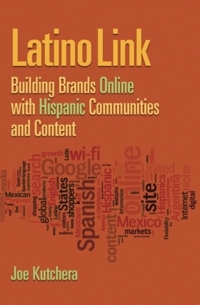 I offered to host the Latino Link Marketer Summit at Mattel’s headquarters in April of 2012. The objective of the invite-only event was to get a deeper understanding of Hispanics in the digital space through sharing best practices among leading marketers. Joe organized a day of excellent presentations from eMarketer, American Family Insurance, MillerCoors, a start up in Silicon Valley, a presentation by Joe himself, and then closing with a discussion among the marketers that attended. Not only did Joe recruit the speakers but he also ensured that their presentations were of a high quality. Of the 20 or so marketers that attended, everyone left with actionable best practices in Hispanic digital marketing to bring back to their companies. We wanted to organize a client conference, but I had reservations about doing it myself. I know how much work these type of events require. Joe Kutchera approached us about sponsoring the Latino Link marketer summit at Mattel’s headquarters. He offered to recruit the speakers, work with them to ensure their presentations were both relevant &amp; outstanding, and manage all the event logistics including gift bags, A/V, food, etc. We sponsored the event and showed up the day of to find that everything was very well organized. We spent the day listening to our customers and prospects interact in a forum that was well structured and centered on best practices in Hispanic digital marketing. The feedback from attendees was terrific. Kudos to Joe for making it all happen so smoothly! Joe is a colleague who generously gives time to educate students about his passion and expertise in social media. He spoke to undergrad and grad students at DePaul University in Chicago about the intricacies of social media and how to develop messages to reach Latinos. I highly recommend him! Joe is an insightful and engaging speaker who is clearly knowledgeable about digital marketing and the US Hispanic market. He spoke to my undergraduate class at the University of North Texas about marketing to Hispanics via social media. The students were very engaged and I received great feedback following Joe’s presentation. All the students really enjoyed his presentation and felt the information was current, relevant and useful to their interests and careers. He would make a great speaker for other events related to the topics of new media and Hispanic marketing! Joe impartió una conferencia en el escenario Gutenberg de social media en Campus Party México 2013 que fue de gran interés para los asistentes. Además de presentar su libro, Éxito, ofreció información muy útil e intentó ayudar a los asistentes en sus dudas respondiendo todas las preguntas que pudo. Cuenta con buenas dotes para hablar en público ya que genera atracción hacia él e interés constante sobre el discurso. Joe ha participado en varias ocasiones en una asignatura que imparto en la UAM (Investigación de Mercados). En Octubre de 2014, su participación se basó en realizar un taller con los alumnos en los que se aplican las fases de E-X-I-T-O basadas en el libro que ha publicado recientemente. Los alumnos aprendieron estrategias y acciones muy prácticas en relación con la presencia de marcas determinadas en redes sociales. Incluso fueron capaces de hacer recomendaciones. Les encantó el taller. Doy las gracias a Joe por su saber hacer y su manera de explicar conceptos y herramientas relativamente novedosos de forma tan sencilla. Su forma de presentar llega directamente a su audiencia y sabe como implicar a los oyentes en la charla e incluso emocionarlos. Thanks for all, Joe. I had the chance to invite Joe as a speaker at the INNNOVATION and MARKETING SUMMIT in 2012. He gave us a very interesting and helpful presentation for Central America region. Joe is a great guy and very cooperative. I definitely recommend him for any event about Digital Marketing and Social Media. 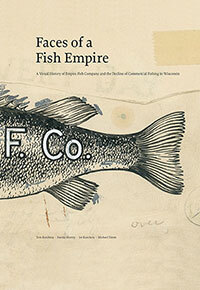 Our maritime history group recently had the pleasure of hosting Joe Kutchera and his “Faces of a Fish Empire” presentation at our quarterly Education Night. Joe’s talk was entertaining and lively and he engaged the audience by detailing his book devoted to his family’s fish business. Members came away with a better understanding and knowledge of the changes and challenges faced with the decline of Lake Michigan’s fishing industry. It was a most enjoyable night. We would highly recommend Joe for future programming.